On February 5, in San Francisco, Elliott Parker of High Alpha presented this new research at Alloy, a conference focused on corporate innovation. This research takes the famed Innovator’s Dilemma to the next level. It suggests corporate concentration has peaked, argues that firm borders are evaporating, highlights the diminishing returns of traditional R&D and M&A, and shows how big firms might harness the unique strengths of startups to transform and grow. On Tuesday, the Royal Swedish Academy awarded the 2018 Nobel Prize in economic sciences to two American economists, William Nordhaus of Yale University and Paul Romer of New York University’s Stern School of Business. 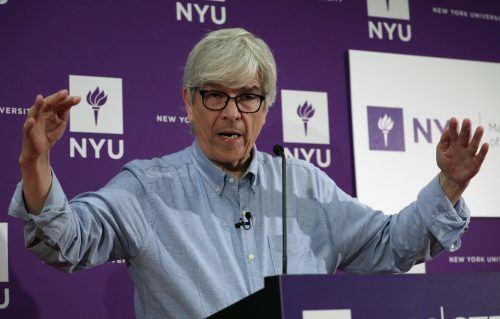 Romer is well-known for his work on innovation, and although the committee focused on Nordhaus’ research on climate change, this year’s prize is really all about technology and its central role in economic growth. The number of publicly listed U.S. firms, for example, is just one half what it was in the mid-1990s. Depending on the type of listings counted, the number of U.S. public firms has fallen to a range of 3,500-4,000 today from a range of 7,500-8,000 in 1996. Adjusted for population, the number of publicly listed firms has dropped to 13 per million people from a peak of 30 per million. continue reading . . .